Quite a few residents of Western Colorado know about the ghost town called Carpenter. Some people might have actually visited the site of the old mining community. What is not as well-known is that Carpenter was officially named Poland Springs from 1892 to 1897. It was frequently misspelled Polen or Pollen Springs by locals and the media. The name came from a natural spring located high above the Book Cliff Mine, which is up the canyon from the actual ghost town. W.T. Carpenter, the founder of the community, was always looking to diversify his investments and he determined that selling the spring water could turn a profit. He envisioned the town becoming a tourist destination like Glenwood Springs. 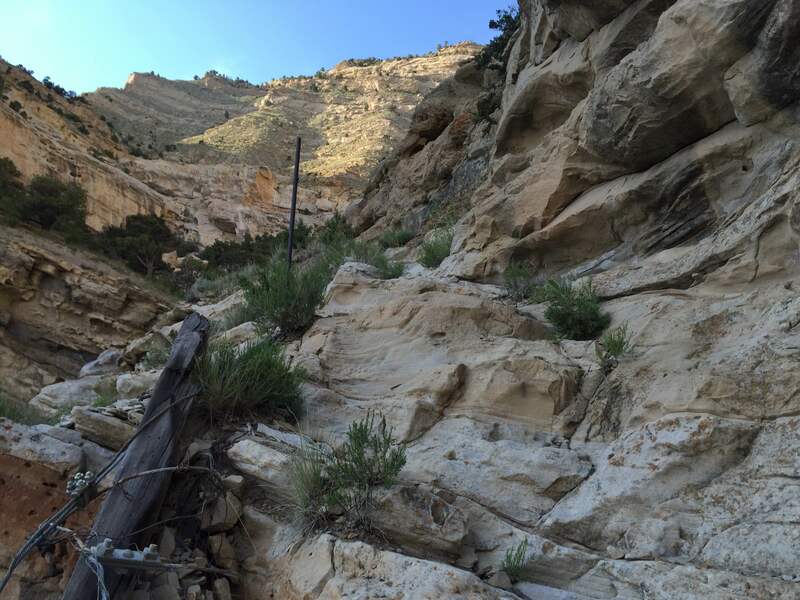 The goal was to get the water down from the top of the canyon and workers constructed an elaborate system of pipes to make this possible. Even today you can find evidence of the dangerous work that the men completed. 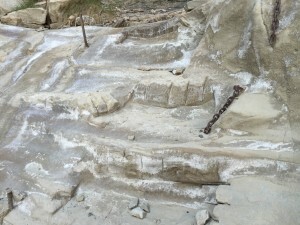 Steps are carved into the sandstone and in some spots chains are still anchored. It is a fascinating reminder of the history of Mesa County.